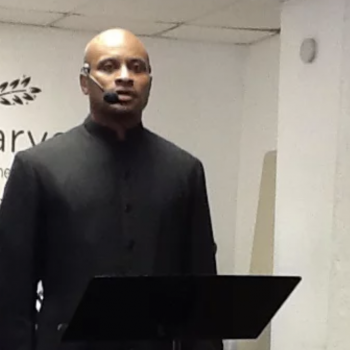 The Texas state judge who interfered with deliberations in a criminal case by telling the jury that God spoke to him and told him the defendant was not guilty received nothing more than a legal slap on the wrist. 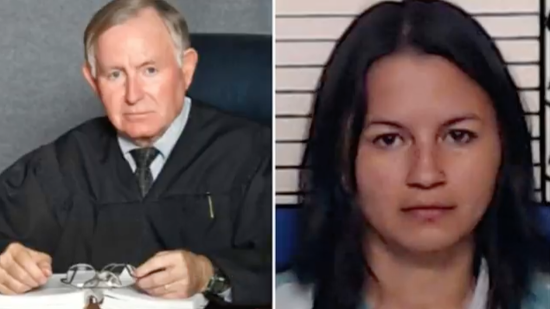 We covered this judge’s actions last year, when he offered divine guidance to jurors and urged them to acquit a woman who was accused of trafficking her niece for sexual favors. Now, a formal report on the matter by the State Commission on Judicial Conduct has confirmed those details… while, bafflingly, only giving Judge Jack Robison a warning rather than a suspension. In view of the conduct described above… it is the Commission’s decision to issue a PUBLIC WARNING to Honorable Jack Robison. Robison was able to escape a more serious punishment because of his “delirium” defense. Robison provided letters from two medical professionals that said his outburst was caused by a “temporary, episodic medical condition referred to as a ‘delirium. '” The professionals said that the issue appears to be resolved and that Robison is not currently experiencing the same impairment. The public warning is a more severe form of punishment then being privately warned, according to the commission’s website, but the action falls short of suspension, which is the most serious disciplinary action the committee can vote on. Robison denied he ever exhibited prejudice, but did recognize that his involvement with the jury was grounds for misconduct. This is an insanely weak punishment for what has been proven to be a series of serious violations. In addition to nudging the jurors to back away from their guilty verdict, he “made partial comments throughout the trial” (which were detailed in the full report). In fact, because of this judge’s “delirious” actions, the defendant’s conviction was declared a mistrial. Maybe the public warning will prevent this judge (and others) from injecting their religious beliefs into court cases. And maybe it’ll send a message that God has no business in a justice system that’s theoretically based on evidence and proving things beyond a reasonable doubt. Still, it seems like the judge got away with something inexcusable all because it was tied to religion. 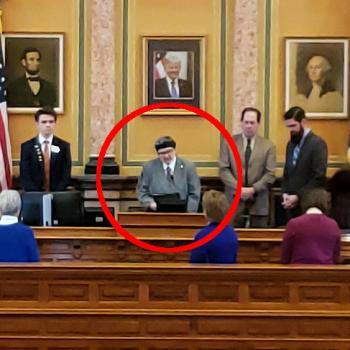 March 8, 2019 In Invocation, Atheist Tells Iowa Lawmakers That Good Ideas "Are Evidence-Based"